Most of the time we are talking about the man made wonders of the world but if we look around ourselves we will be acquainted with a vast number of natural wonders that are genuine proof that Mother Nature is equally talented in terms of producing some remarkable landmarks and bizarre phenomenon that had kept the people awestruck since ages. The natural wonders of the world may be found in different countries across the globe and the masterpieces range from greatest heights to deepest depths or some of the most astounding landscapes that are unfathomable. Though you will find wonderful artwork of nature anywhere you go but these seven sites are unanimously selected to be called the seven natural wonders of the world. 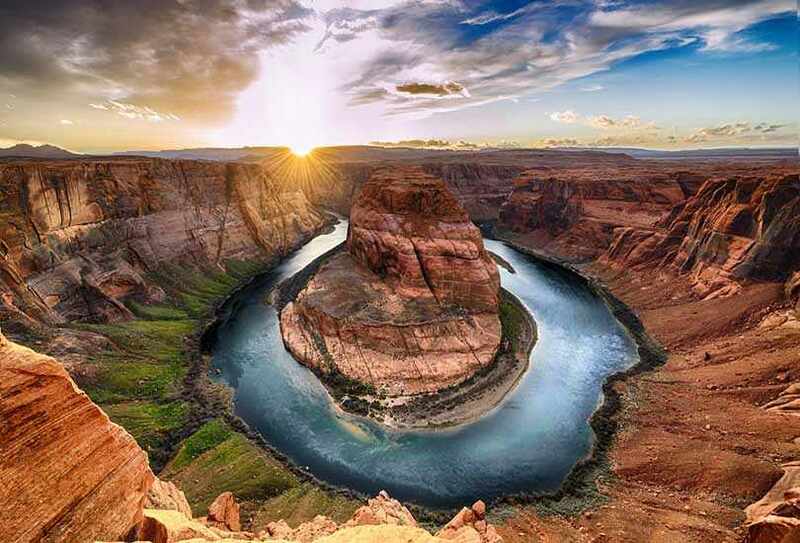 This 277 mile long Grand Canyon, located in Arizona, USA is truly breathtaking. This canyon goes up to a mile deep and is around 18 miles at its broadest point. The formation of this canyon is laid upon the unobstructed course of Colorado River. Though the access to the edge of the canyon has been restricted for the tourists in the recent years yet it is the favourite destination of the tourists who inundate this place in large numbers. 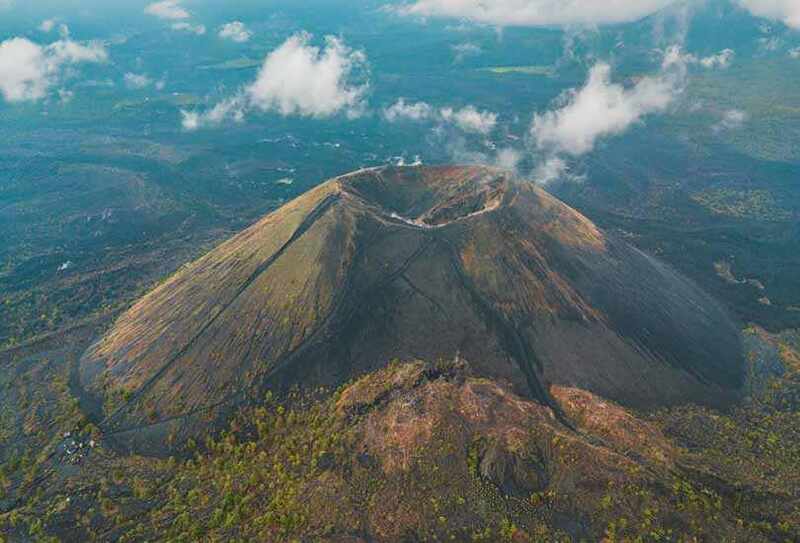 Though Paricutin is not known by many people but then also it keeps its visitors bewildered who come to witness this astonishing natural phenomenon for the first time. It is actually a cinder cone volcano located in the Michoacan city of Mexico. This particular volcano has owned a place of predominance among others in the world due to the fact that scientists were able to trace every stage of this volcano right from eruption to extinction. During the period of 1940s and 1950s, the visitors and local residents were able to observe this volcano growing from a cleft in a field to a mountain with a height of 1391 ft. This volcano erupted last in 1952. This bizarre natural phenomenon seen at both the polar regions of the earth is denoted as the Northern or Southern Lights. 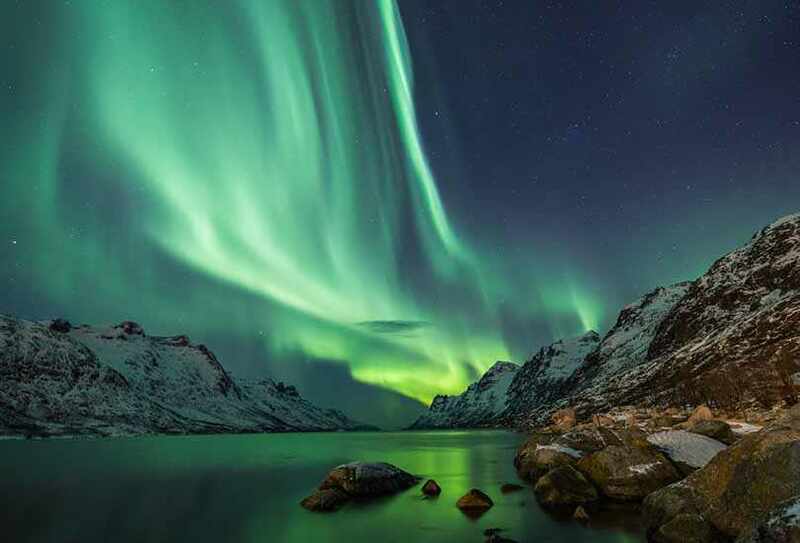 This aurora could be witnessed from many parts of the world, especially the places at higher altitudes are more likely to see this magnificent prevalence that is created due to the charging of the cosmic particles that enter the Earth’s atmosphere and gets split into various colours exhibiting a beautiful display of painted sky. Though the reference of these natural lights could be found in many mythological sources and various supernatural stories have been linked to them, yet it has kept the people bewildered all over the world about their existence. 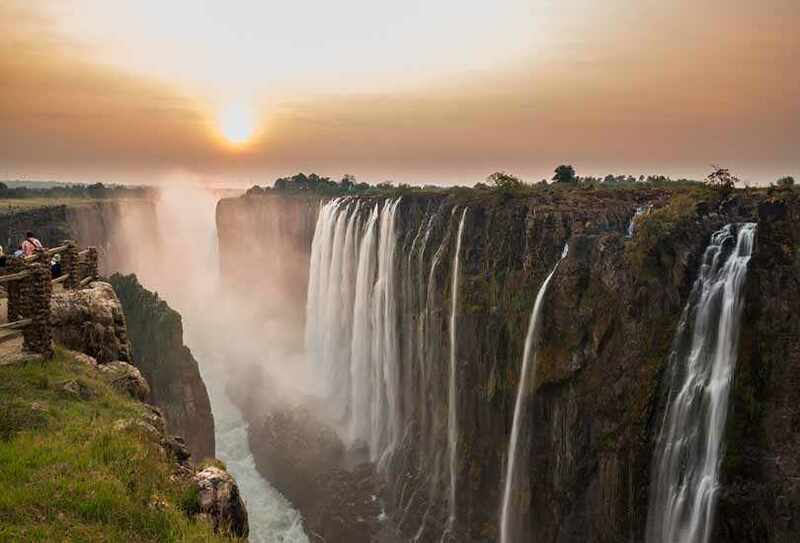 The Zambezi River creates a marvelous effect as it cascades down at the border of Zambia and Zimbabwe to a depth of 355 feet with a thunderous sound and blurring cloud of water droplets hitting the ground. This Victoria Falls was named after then reigning Queen Victoria but is still locally known as Mosi-oa-Tunya or the Smoke that Thunders. If we take into account both the aspects of width and depth together as a whole then Victoria Falls qualify to be the largest in the world. 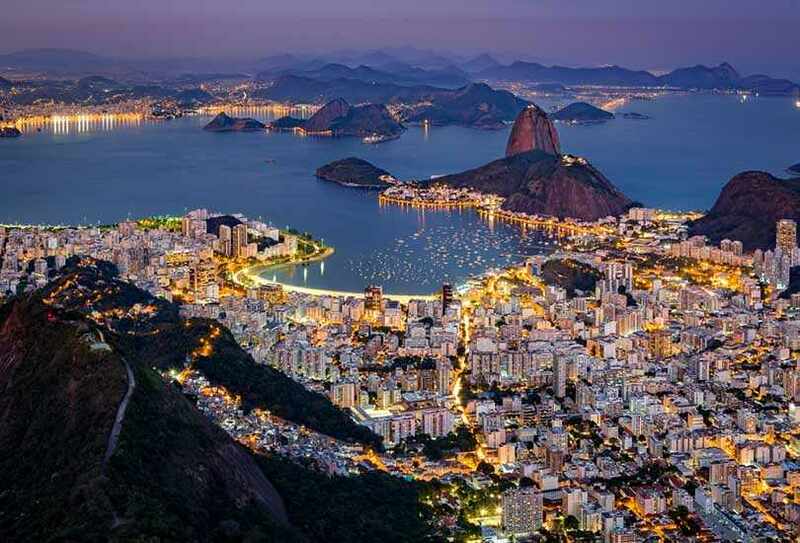 Guanabara Bay is endowed with a rich treasure of around 100 islands that has attributed to the beauty and striking ambiance of vivacious and varied eco-system. Few islands to mention are Villegagnon Island, site of Brazillian Naval School and the car-free Paqueta Island. With urbanization of this place over the recent years the beauty and fascination of the environment has been hampered to a great degree but things have been brought back to shape and form after a legislation laid in Rio to protect and return the natural charm of the bay as it is most famous of the worlds’ seven natural wonders. The Great Barrier Reef is made up of around 3000 natural reefs and around 1000 islands stretched over an extent of 1400 miles. This massive natural phenomenon is hard to believe and require a genuine visit to behold this breathtaking sight. Though the Great Wall of China is believed to be visible from the space but the evidence which have been found in real are of this Great Barrier Reef as the astronauts and scientists have been able to capture the images of this reef from the space. 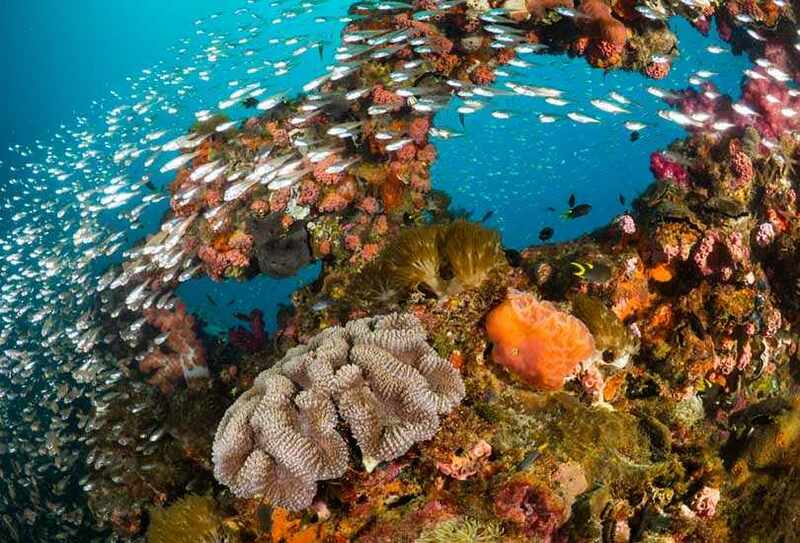 The reef is a universally recognized attraction of Australia and hence great measures are taken every year to protect this delicate reef and its species from wear and tear of the atmospheric conditions. How could we not include the globally recognized highest point in the world, Mount Everest, in the list of natural wonders of the world? Standing tall at 29,029 feet it is considered the best among the rest if we talk about the highest mountains in terms of elevation and importance. 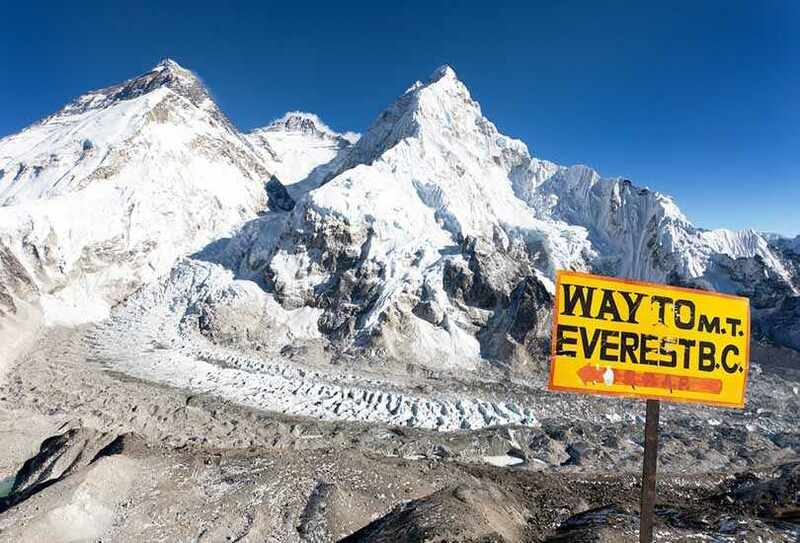 It took more than three decades for the mountaineers to scale Mount Everest and it was finally done when Sherpa Tenzing Norgay and Edmund Hilary managed to reach the peak in 1953. Though covering Mount Everest is not an impregnable goal as it was earlier but it still requires real guts to do so even now.